Pursuant to the Limitations Act, there is a two-year limitation period for commencing a civil suit, beginning from the point the claim was discovered. 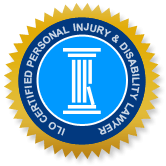 In most cases, the two-year period begins from the date the person was injured in an accident, but may be extended if a person did not realize they had grounds to make a claim against the negligent party until past this date. a proceeding is an appropriate means to seek remedy for the loss. A recent trial arose after a woman began a negligence suit against a physician and an Ottawa hospital almost 15 years after having surgery. In August 2000, the plaintiff underwent a removal of her right kidney and ureter, based on a pre-operative cancer diagnosis. After an examination of removed tissue, a pathologist determined that the tissue was benign and the woman did not have cancer, of which the plaintiff was promptly informed. The defendants in the civil action, Marson v. Leahy (2017), brought a motion for summary judgement to have the plaintiff’s medical malpractice suit dismissed because it was initiated after the limitation period had expired. There were no significant disagreements on the facts of the case, but there was disagreement on what the plaintiff ‘ought to have known’ and when the claim could have been commenced. It was clear from the plaintiff’s affidavit and cross-examination that she was informed by her physician and fully understood that she had been misdiagnosed with cancer and therefore, the removal of her kidney was unnecessary. Following the surgery, the plaintiff's physician was surprised when he learned she did not have cancer but rather, had a kidney infection and scar tissue, for which she had no symptoms. Despite being encouraged by family and friends to pursue the matter, the plaintiff did not sue the physician at that time. 13 years later and two years before her civil action, the plaintiff applied for disability benefits from the Canadian Armed Forces. In her application for disability benefits, she noted that due to her cancer misdiagnosis and removal of her kidney, she elected to retire from the Canadian Forces prematurely and this led to depression and PTSD. The motions judge asserted that, immediately after her surgery, the plaintiff was well aware that the removal of her kidney was unnecessary and that she could commence a claim against the defendants. She was also in possession of her complete medical records within 6 months of her surgery. The judge agreed with the defendants that by 2001, “the plaintiff had a due diligence obligation to investigate whether she had a viable claim against the defendants” based on whether an act or omission on the part of her physician was in breach of the standard of care. Accordingly, the judge found that s. 5(1) of the Limitations Act is applicable in this case, as the plaintiff’s claim was ‘discoverable’ by the end of 2001, at the latest. Therefore, the defendants’ motion for summary judgment to dismiss the claim against them was allowed. If you were injured due to the likely negligence of another party, don’t delay in seeking professional advice on your legal rights and options in the matter. Talk to an experienced and knowledgeable Ottawa personal injury lawyer to find out about deadlines for commencing your claim and whether you have a strong case for compensation. Previous Post: Judge rules that Group Insurer must pay after denying Applicant’s Long-term Disability Benefits Next Post: Medical Experts play a key Role in a Personal Injury Trial but can there be too many Experts?